Kennards Hire has introduced a fleet of small high-tip dumpers, which are much easier and quicker to use than older style dumpers. The rubber-tracked machines are fully hydrostatic and can carry 500kg. 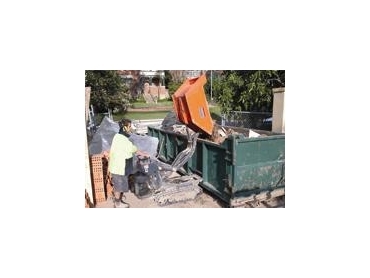 A major feature is that the high-tip dumpers can tip to a height of 1450mm, which is high enough to load into a standard, two-tonne tip truck or building site skips. Just 685mm wide, they can navigate tight passageways and doorways. Kennards Hire also has some larger, 800kg high-tip dumpers. Bayview Excavations hired one of the small dumpers from Kennards Artarmon to move 120 cubic metres of material. Brent Howell, who operates Coastbuild, used another small dumper while digging out an old stormwater retention tank in a backyard. “The job turned up after we built a house and a metre wide passageway was our only access. We moved about 15 tonnes of fill up a fairly steep incline without a problem,” said Brent Howell.